Crown lengthening, otherwise commonly referred to as teeth lengthening is a procedure performed to increase the surface area of a tooth. Cosmetic crown lengthening or gum lift is a cosmetic procedure done to increase the length of teeth that may appear short due to a gummy smile. This treatment is the most effective and least invasive means of changing a gummy smile, so that the shape and size of the teeth are more proportional and thereby more aesthetically pleasing. Done in conjunction with porcelain laminates where necessary and desired, this procedure is truly life-altering in it’s ability to completely redesign a smile. 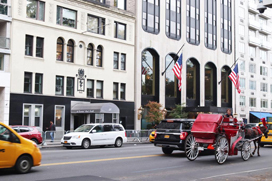 Dr. Edalat’s team are certified specialists in this type of surgical procedure. This procedure is followed by restorative procedures which Dr. Edalat is also a certified specialist at called Prosthodontics. This provides a major benefit for the patients because they are being treated in the same office to perform the surgical phase and the restorative phase of their treatment without the need of going to another office which has potential risks of miscommunication and poor sequential appointment planning between the treating dentist. Like this the treatment are completed faster and with optimal results from the über professional family dental team. To restore a tooth there must be enough healthy tooth structure to support the restoration. If the tooth has been broken or is severely decayed near the gumline, we can perform a crown lengthening procedure. 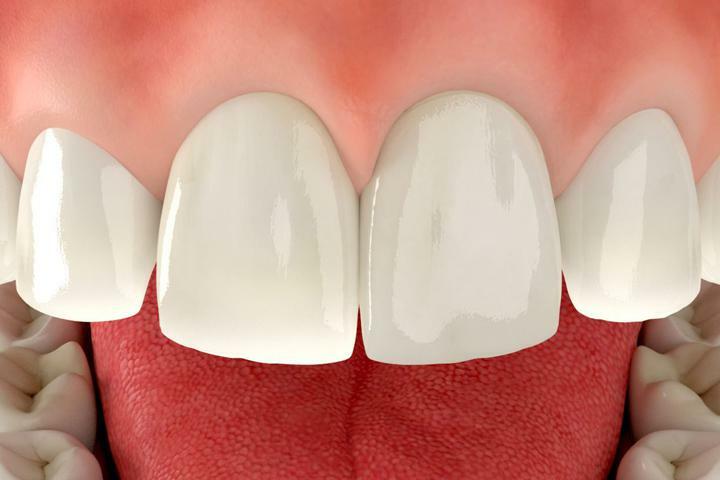 By removing some of the gum or bone surrounding the tooth, crown lengthening allows us to access more of the strong tooth structure. We begin the procedure once we are sure you are completely numb. Then, we make a small incision and gently lift the gums away from the tooth. 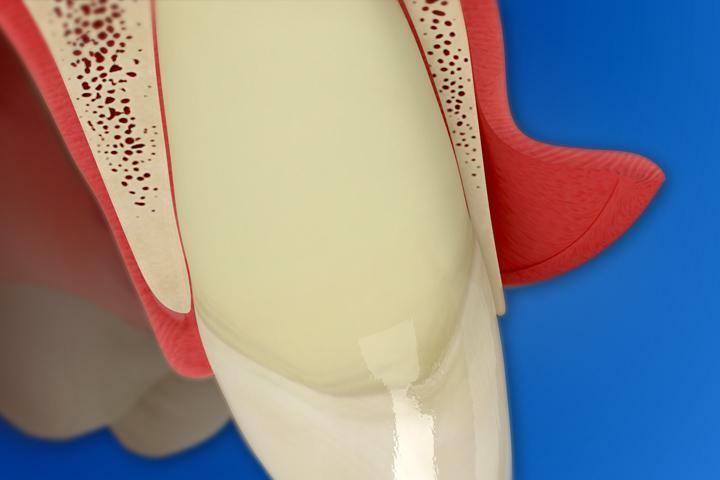 We reshape the bone and gum tissue to reveal enough of the natural tooth to create a secure anchor for the crown and to maintain a healthy distance between the bone and gumline. Last, a couple of stitches are placed in the gums to speed healing. After a few weeks of healing, we may build up the core of the tooth and then prepare the tooth for the crown. We place the crown to cover and protect the damaged tooth. This procedure saves and restores a tooth that might otherwise be lost, allows the gums to reattach properly to the tooth, and makes the area where the crown meets the tooth accessible and easy to clean. Crown lengthening can help us save your healthy smile. 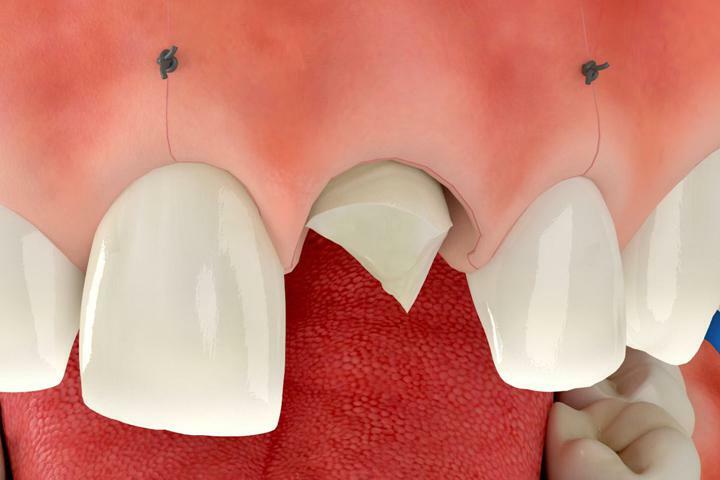 Crown lengthening is employed to help save a tooth that has been severely decayed or broken at or below the gum line. By recontouring the gum and the bone height it allows us to place a better fitting, longer lasting restoration. 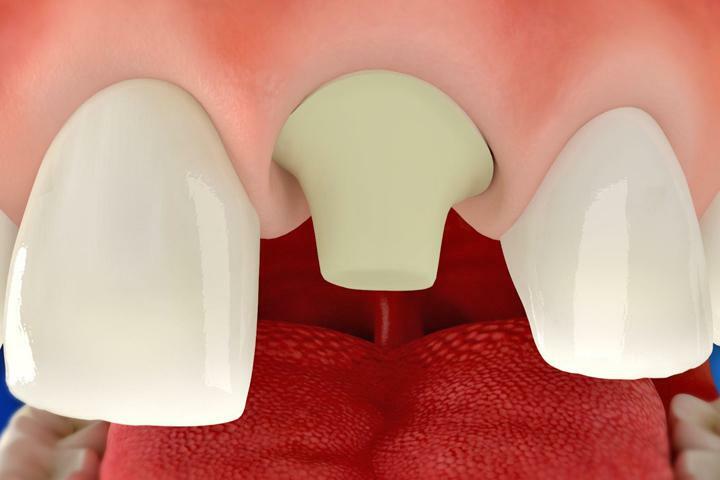 If you’ve ever had a crown that keeps falling off, often times the reason for this is a short clinical tooth crown that needs to be lengthened as described here. When there is decay underneath the gum, we need to remove the gum covering the area so that all decay may be removed and tooth filled properly.